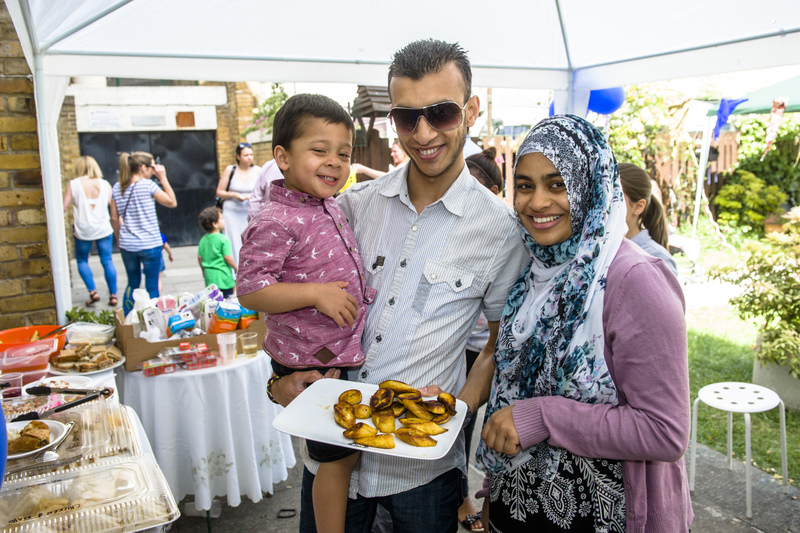 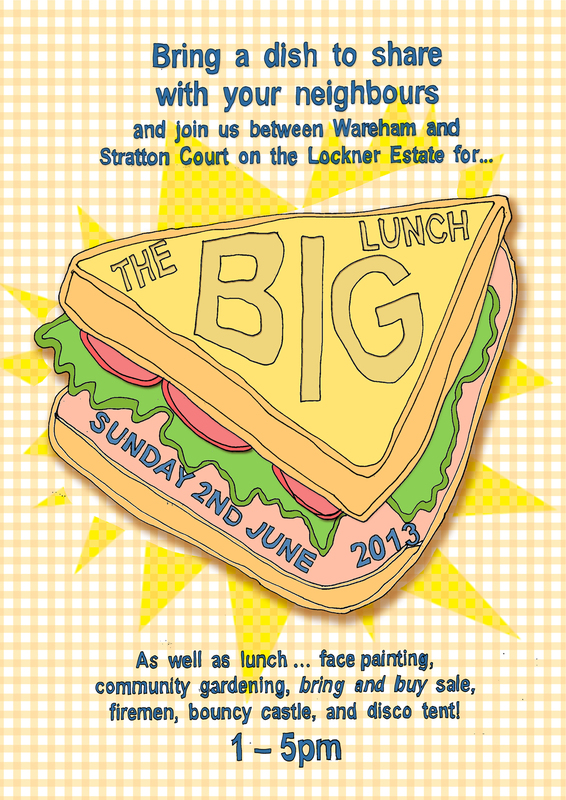 Sunday 2nd June saw the fourth annual Lockner Big Lunch. 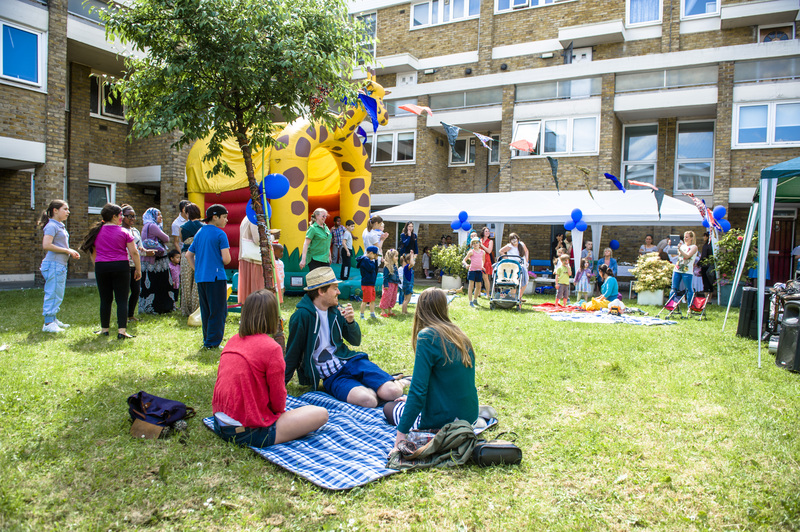 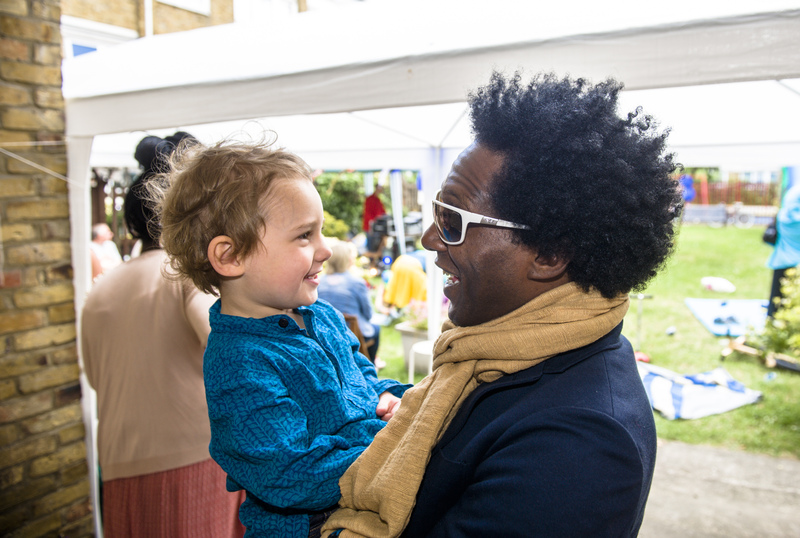 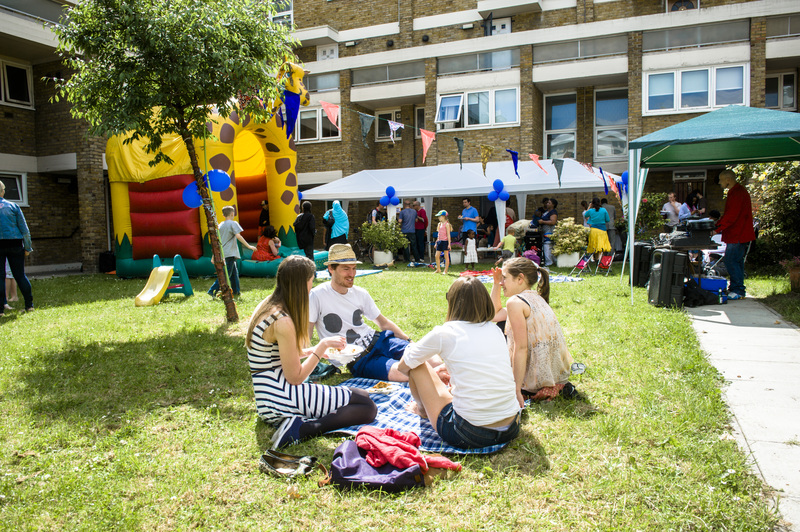 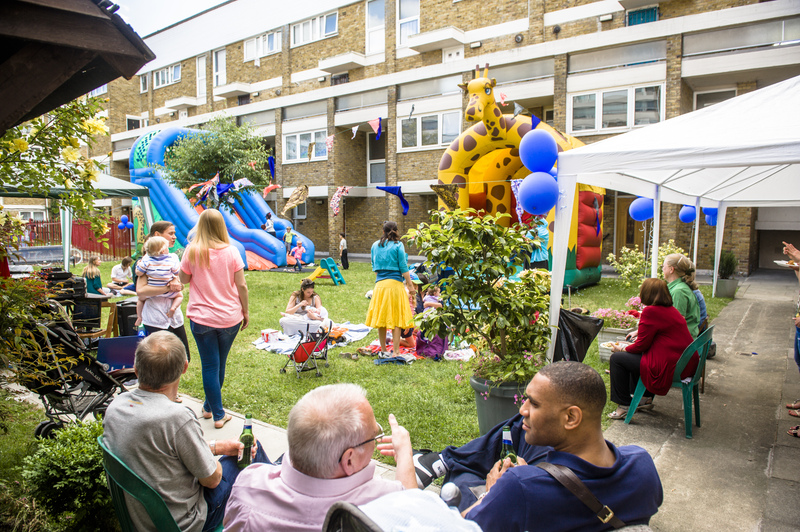 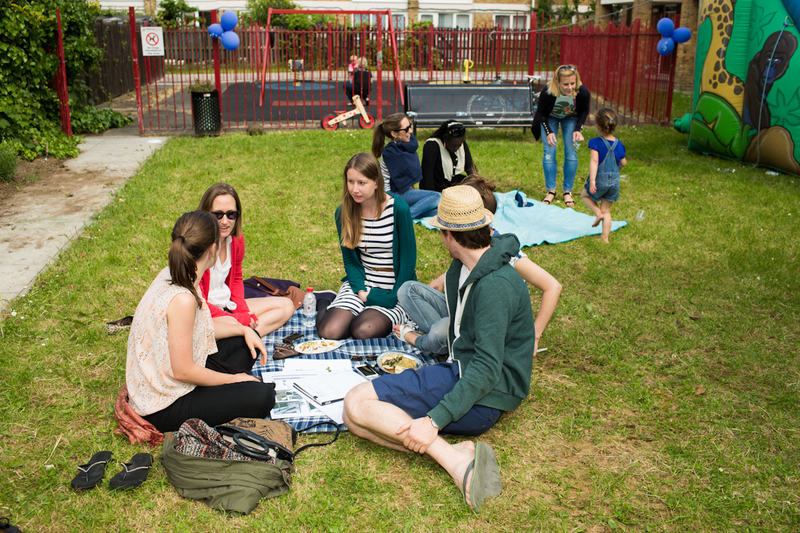 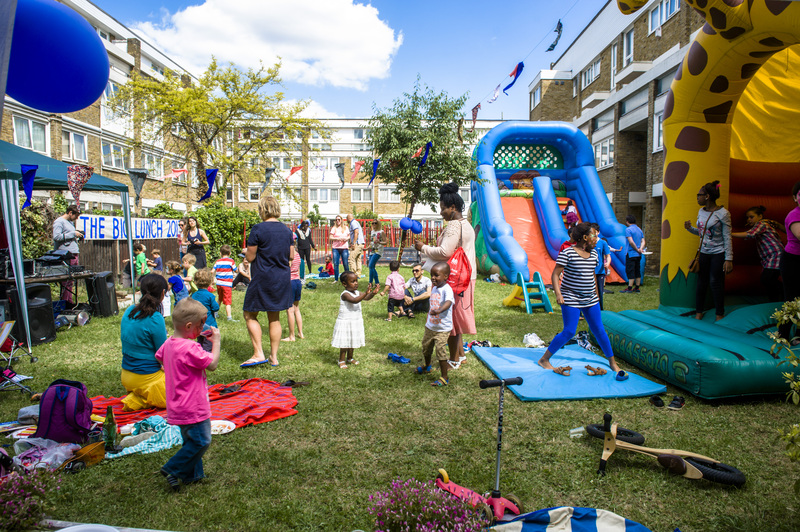 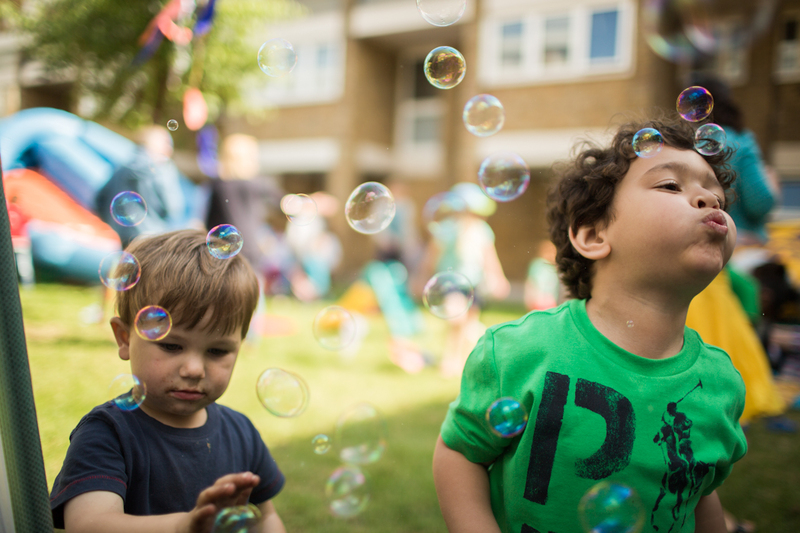 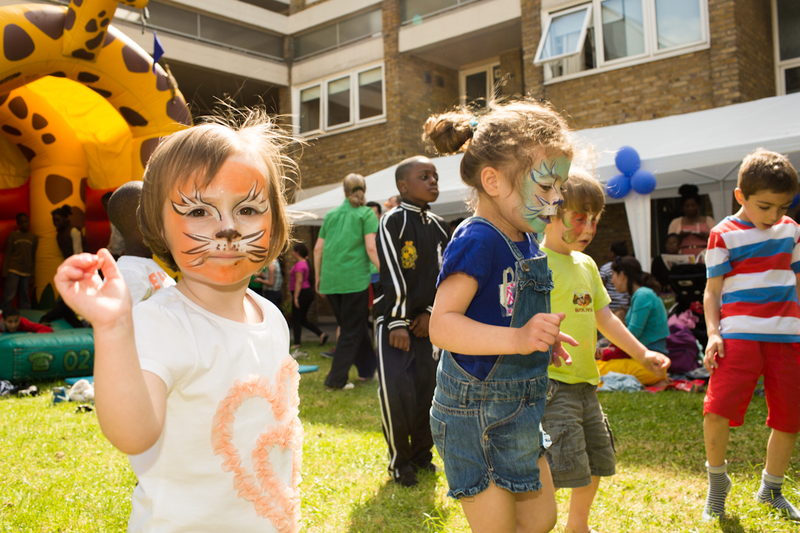 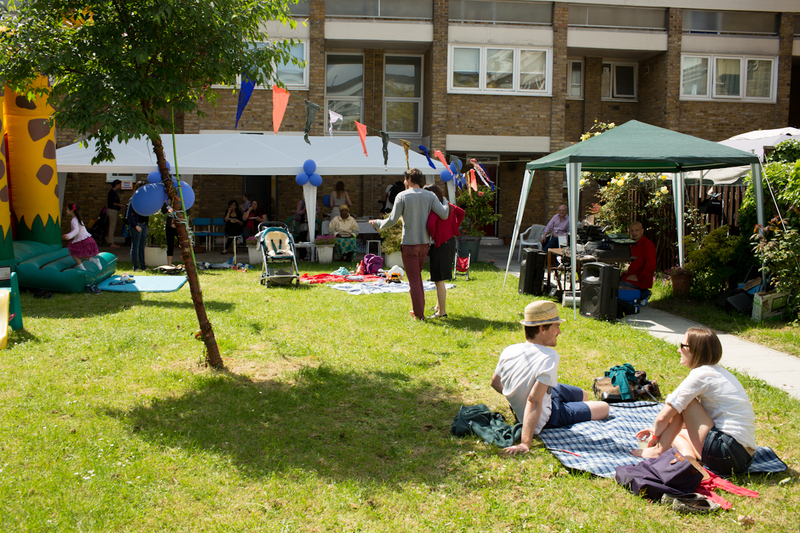 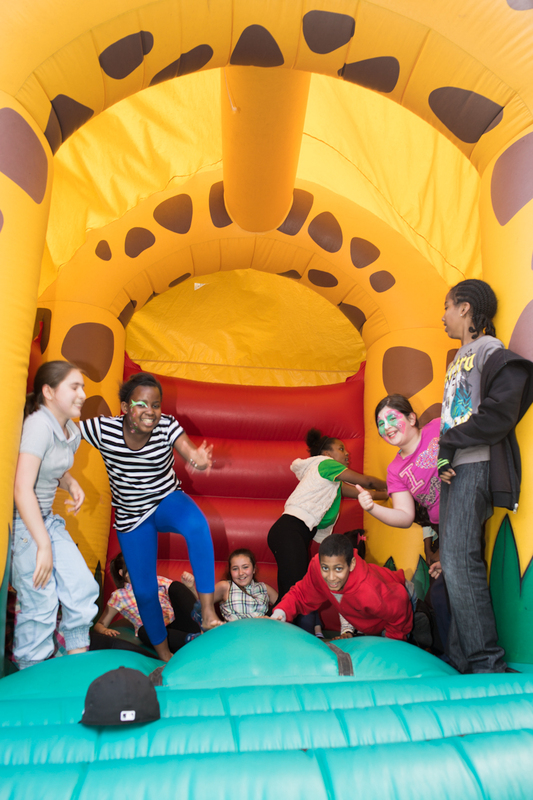 This year the sun shone down on us as we enjoyed fun and food with our neighbours on Lockner. 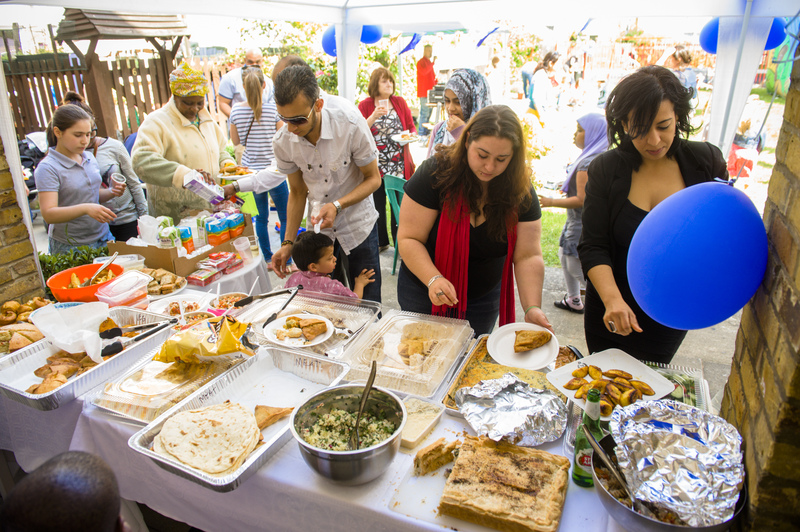 Residents cooked delicious dishes & cakes to contribute to the table, which all went down a treat. 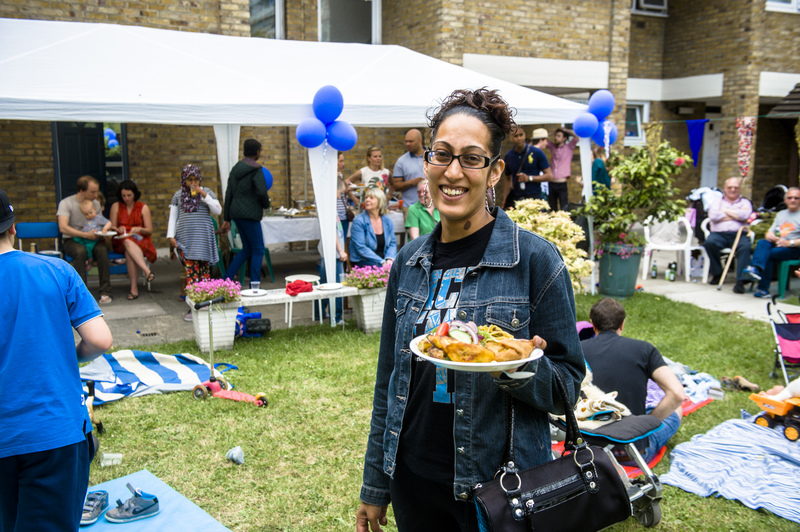 Cakelicious (374 Kingsland road, next to the taxi rank) also provided a fantastic spread of finger food and nostalgic school dinner puddings for us all the enjoy. 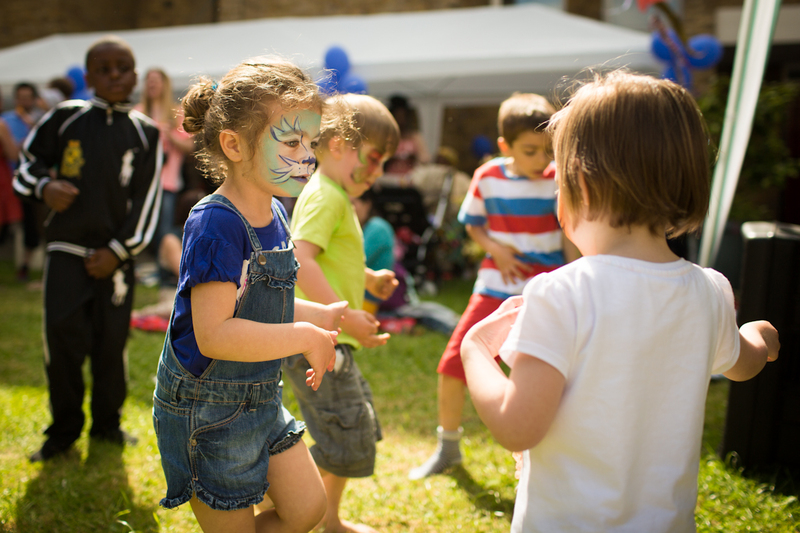 Children had their faces painted as their favourite superhero, bounced on castles and dived fearlessly down a giant inflatable slide. 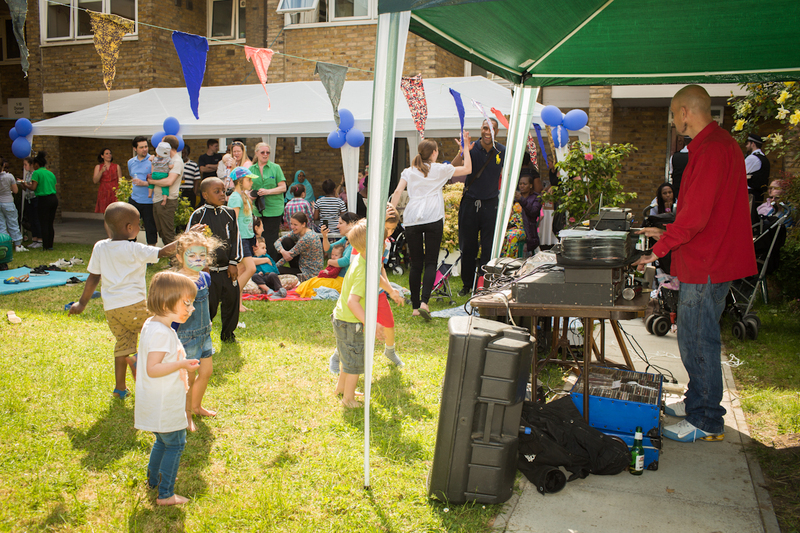 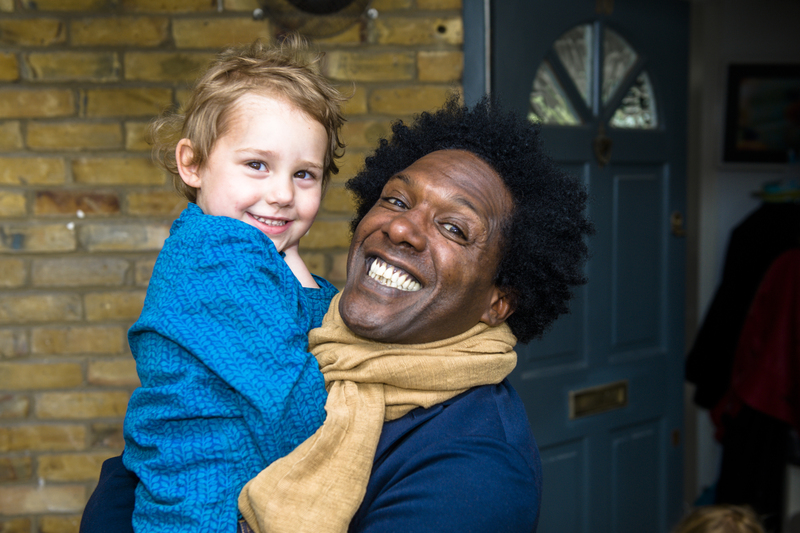 The sound of giggles and fun filled the estate. 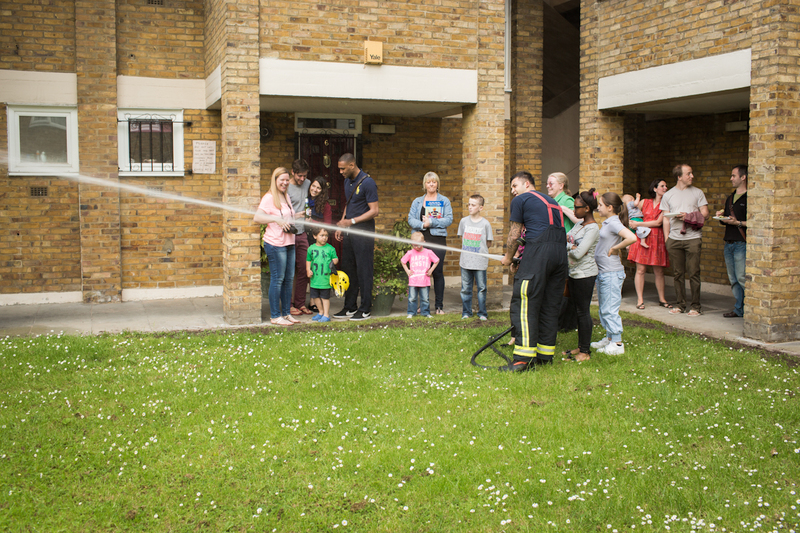 A bubble disco lead the way to an impromptu gangman style dance competition, followed by the fireman from Kingsland fire station who visited with their fire engine. 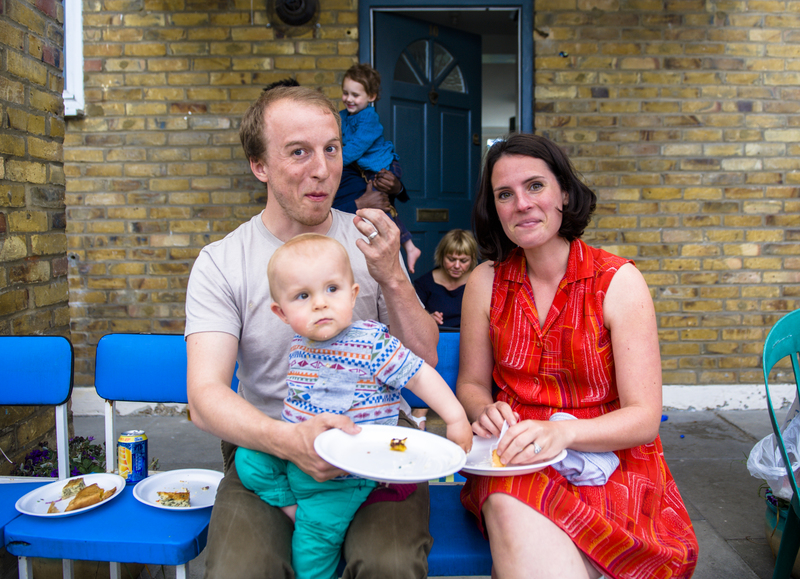 People of all ages (!) 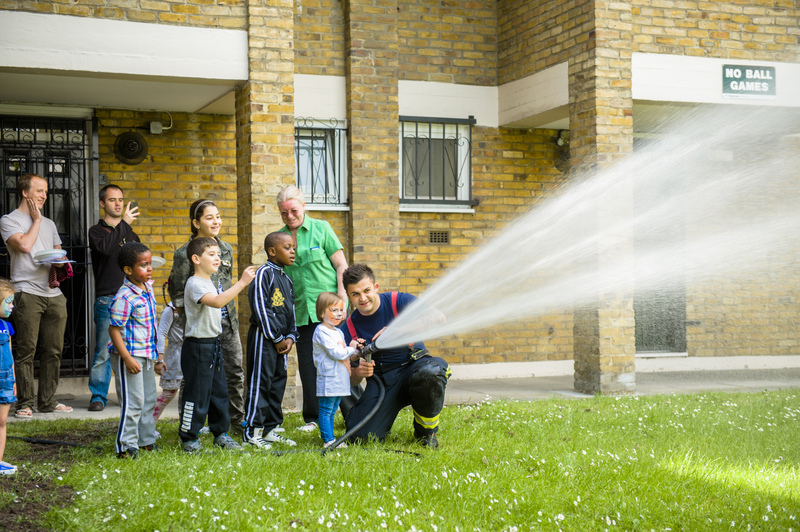 climbed aboard to pose with firemen hats on and squirt water from the hoses over the freshly planted flowers and turf. 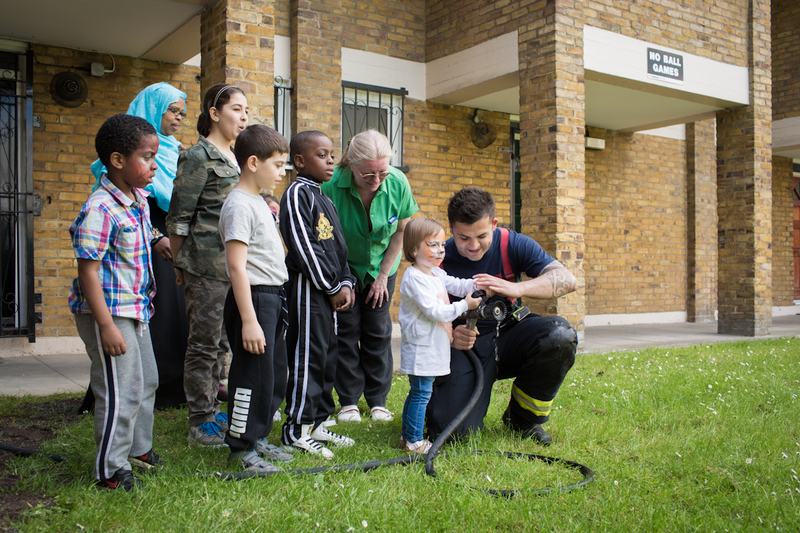 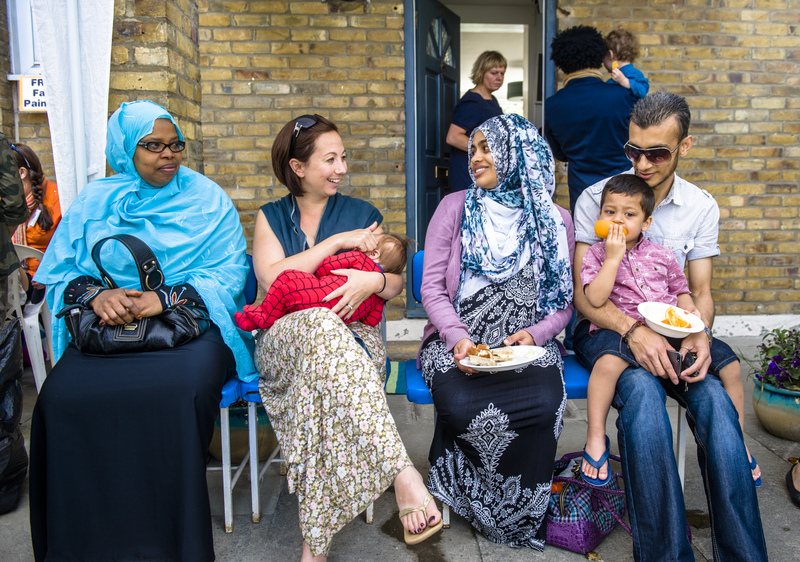 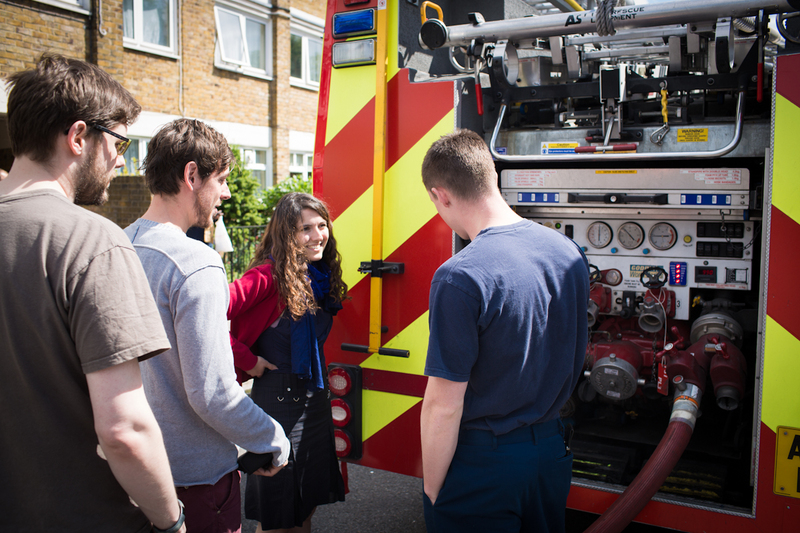 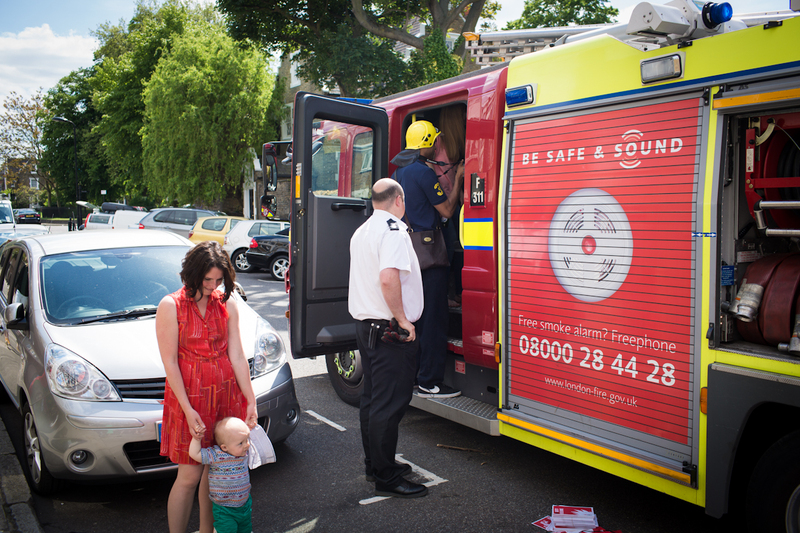 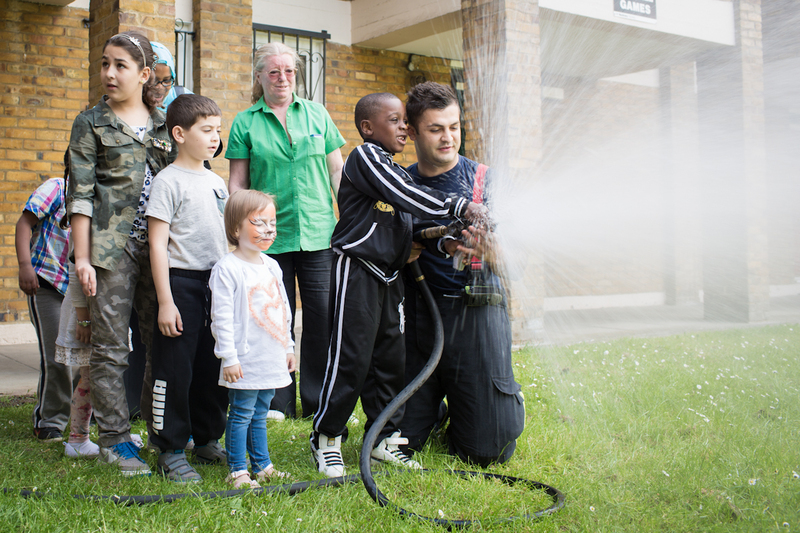 To save Kingsland Fire station from closure, please sign this e petition before 21st June 2013. http://m.ipetitions.com/#petition/save-kingsland-fire-station The Big Lockner Lunch is a great way to meet your neighbours and share some food and conversation. 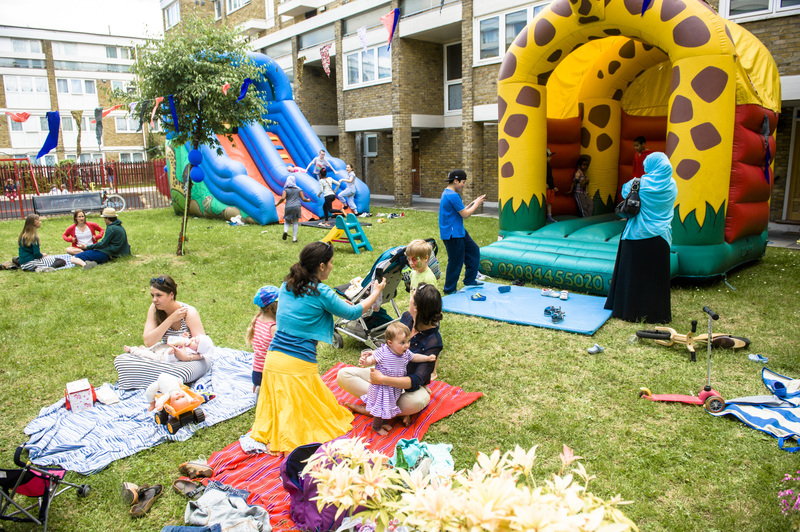 Every summer it has got bigger and better; the laughter and conversation louder and more vibrant. 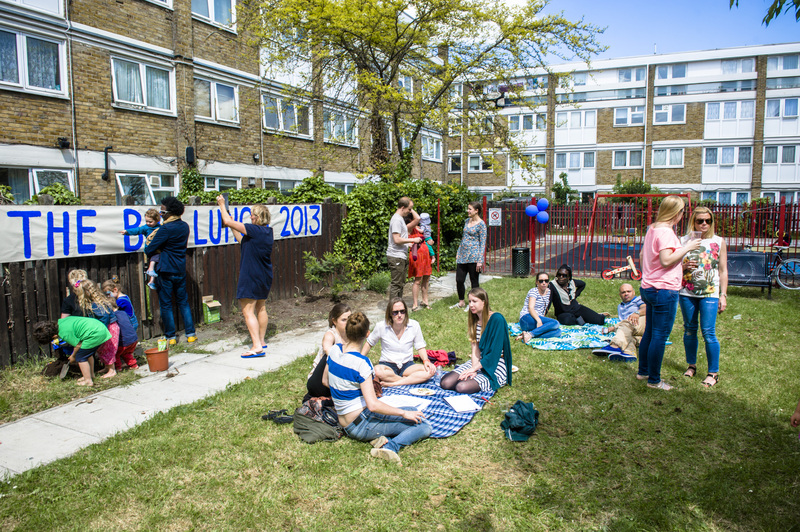 It’s a lovely way to remind us all that Lockner is a friendly and brilliant place to live! 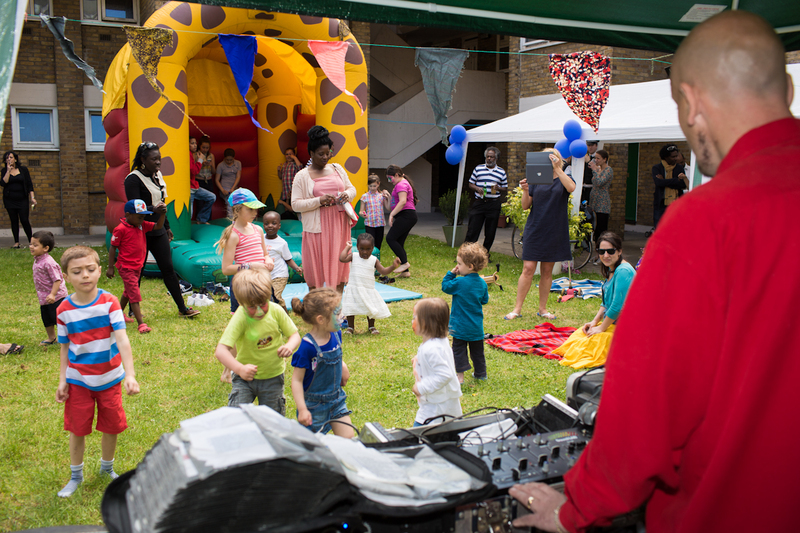 Thanks to Sammy & Carol Wonderling, Jenny Burton, Nikki Parrott, Ellie Stevenson, Jenny Duval, Susanah Worth, Jon Hoskins, and Lisa Turton for organising this years party.